Create Embellish Adore: Its a PLAY DATE!! 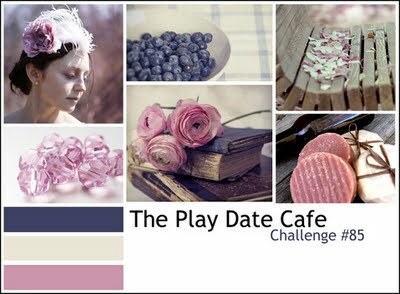 I love to play with the Play Date Cafe Challenges! Isn't this just beautiful!? Honestly I had to keep from trying to make those flowers! They are just addicting!!!! Instead I know that I have a few cards I need to make alittle vintage -ish... and thought I would give this one a shot. I really wanted to sponge this out with some river rock - but kept it clean... and I like it! The most time consuming thing is dying those darn pearls in the pinky shade! Since my thumb is healing I can stand the scissors alittle better, so cutting the butterfly out was not too bad! 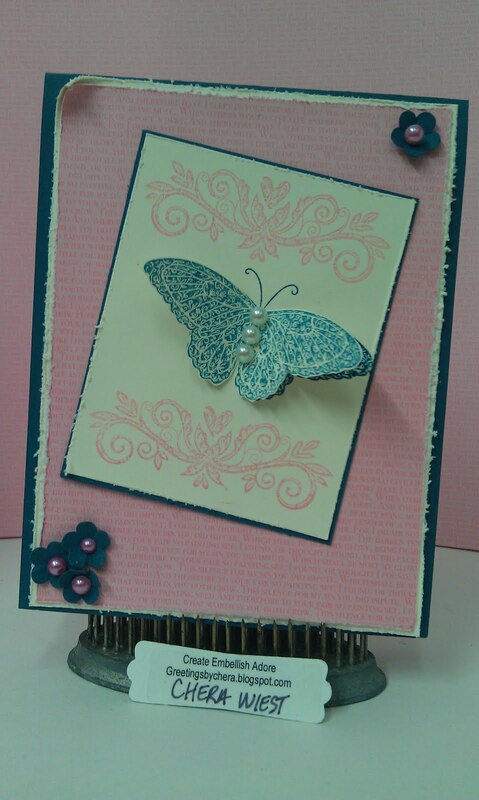 I used the boho flowers at the base, thinking I was going to put a sentiment near them, but I like it without! That stuff can go inside. NOW- go ahead... get your stamps out ... and have your date with the PLAY DATE CAFE!!!!! 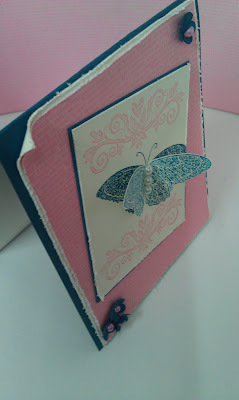 Love the butterfly and the distressing you added to it.